Werewolves are real. Here are a few small reasons as to why. There are several reasons why I think that werewolves, or, something akin to our perception of werewolves, exist. I have many theories, but I can't be arsed to write them all down. First argument: The myth of the werewolf, exists in so, so many cultures. And I mean, there have been legends of people who turn into wolves in all sorts of countries, all over the world. England, France, Greece, etc. They all have different names. Now consider the fact that, in the ages such as, I don't know, the 1500s or whatever, these countries are not going to have any means of communication. No phones, no TV, no postal service, etc. So it can not be a conspiracy, and they did not copy each other. Yet the legend of the werewolf pops up, in almost identical variations, across the globe. Before we had communication. This suggests to me, that there is something tangible to the werewolf legend. There just has to be something to it, for the same creature to pop up, over and over in countries that had absolutely no contact with each other. In France, it was called the Loup Garou. In England, it was called the werewolf. In Greece, it was called the Lycanthropos, named after the Greek god Lycaeon. In Italy, it was called the Luparo Mannaro. In Sweden it was called the Varulv. In Russia it was called the Vurdulak. I could go on, with more countries. The point is, all these countries, so far away from each other, with no communication, all have exactly the same legend. This says to me that werewolves exist. It's one of the strongest arguments. I also had some theories as to how they could physically exist, which involved advanced mutation, sped up with a catalyst or adrenaline of some sort. If a caterpillar can turn into a butterfly, why can't one mammal turn into another? There are stranger things in this world than the idea of werewolves. Truth. I don't want to go into the more scientific explanations though, they are boring. Plus I am crap at science, and proud. Did you know that the full moon has an effect on human beings? It's true. Not massive, not extremely noticeable, but there none the less. Things like, an increase in human blood pressure, and heart rate. I have not really found the explanation for this, all I know is that it happens. There are more murders commited under the full moon, than under any other stage of the moon. The moon has also been said to cause madness. It explains the origin of the word 'Lunatic'. <--see the 'luna' in the word? With regards to the living on raw flesh, supernatural strength, and possibly a delayed ageing process, all these things are entirely possible with the aid of things such as drugs, adrenaline, and even being born with abnormalities. It's just in olden times, it would be less obvious how these things would have been achieved, and therefore, there was much more of a sense of magic about them. Eg: In the 1500s, if someone saw a man bending a tree in half with his bare hands, they would have screamed "Werewolf!" but nowadays, they would assume he was on steroids, or on an extrme adrenaline rush as a result of fear or desparation or something. Point is, inhuman physical strength is entirely possible. Take the facts that, the myth of the werewolf is all over the world, despite the lack of communication at the time. The fact that, animals in the natural kingdom do shift their shape. Bugs, granted, but still. And the fact that stranger things exist than werewolves. Like the fact that U2 are still going. Still going! 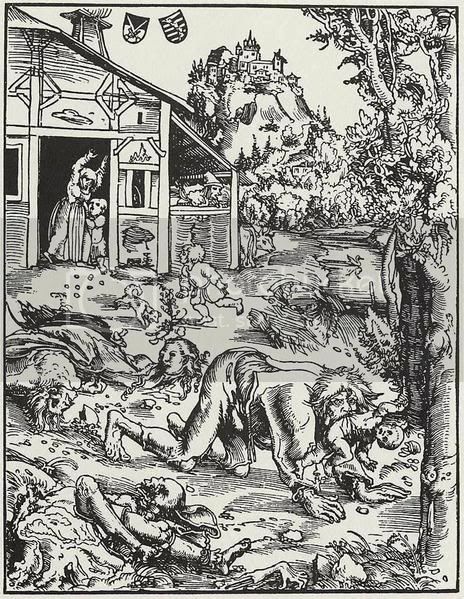 The fact that lycanthropy, losing your mind and becoming a beast, is a real disease, and finally, the fact that the full moon has a definate effect on the human body, and I think that we are on to something. I'm going to stop talking now before I write an essay. I also have theories on why vampires could physically exist too. To be honest, they are more likely to exist than werewolves. It is physically possibly for vampires to exist. But I love the werewolves. There are some people out there who claim to be werewolves. Some are nutters. No, almost all are nutters and wannabes. Furrywannabes, is a term I am fond of. (All you alleged therians can sod right off, most of you fall into the category) But, there is one man called Gypsy whose story intrigues me very much. I think he might be, well, something. I don't know what. But something. So werewolves do exist. Whether they, to you, are a metaphor, a myth, or a reality, something in between, or all three, is entirely up to you and your perspective. Note: I deleted this and reposted because I used the wrong tags. Sorry. And the fact that stranger things exist than werewolves. Like the fact that U2 are still going. Still going! HA! This made me laugh. Lots. Hee hee. As for werwolfers. I'd sort of like to think magic can exist (or the supernatural is probably more accurate in terms of your entry), it's something that has fascinated me since a child. Like pyramids. Pyramids are special. ... Back to my point, the only thing about such beings as werewolves and vampires (haemophiliacs? ) 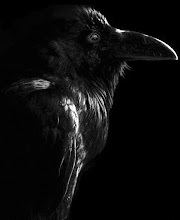 exists scares me just a little bit as I read and write both fantasy, dark fantasy and horror. In these genres, such supernatural beings do represent our deepest primal fears. So perhaps we do have something to fear. I'm babbling. So I'll stop. But I like your babbling. Babbling is awesome. Or that's what I keep telling myself, anyway. Pyramids are special! Me and a friend were discussing just that last night, actually. He told me that, the corners of the pyramids, are within 0.8 of a degree of accuracy in terms of their right angles. Apparantly, we cannot reach that level of accuracy today, even with lasers. And it's not a fluke, because all the corners are that accurate. I did not know that. I like that fact. I meant in general really, they come up some much in different cultures. Look at Egypt, in Africa, then the Incan and Aztecs in Central America. Worlds away from each other, but they have such similar arcitecure (sp?). And as a child I would build pyramids out of duplo. As big as possible. I did it the other day, in fact, at the dentists ... I was waiting for my parents and there was duplo out! Ahh, happy memories. Babbling is good. I agree! Heh. That's what my friend was telling me too, about them popping up in places where by rights, the same identical thing shoud not easily just pop up and be duplicated in places where they have no communication. Spooky. Will we get to see your newest werewolfers? When I steal my poor long suffering flatmate's camera (again) and start snapping! I'm still in the stage where I'm covered in grey paint and trying to look as if I know what I'm doing despite the childish mess all over my desk. Whoo go me! "Fred* is behaving a bit weird today, all aggressive and bonkers like he can't sit still"
I wouldn't believe it but I've seen it with my own eyes. *Fred's name has been changed to protect his identity. Poor Fred. *points* I knew it I knew it! The moon does do, you know, stuff!! Plus, the hospital people say they get more accidents on a full moon. More babies, too. Weird. Ah, it's kinda funny we were blabbering about the same sort of things in our blogs. I read a book a long, long time ago about a man who had lyncanthropy, and how it took six police officers to bring him down. It had pictures of his excellerated hair growth etc. It was very interesting. The fact that I still remember any of it, proves that, since I forget most things that bore me even slightly. Anyways, cool blog entry, and I agree, there could be werewolves in some form or other. It's cool to contemplate anyhow. I forgot to mention, the fungus you were talking about was found on rye, and caused ergot poisoning. I'd be interested to see your argument for vampires. Personally I believe there is a basis in reality for most myths, and until the British and French settled the USA the locals had tales of a massive wolf-like creature that stalked the hills, possibly a descendant of a prehistoric mammal that had survived. Sadly they all vanished a few years later- wonder why??!! It's also quite grammatically incorrect, which tends to make me biased against these sites. Nonetheless, it has gotton some things right, even if it likes to have a healthy dose of mistakes among these parts! I didn't look through all of it actually *embarassed* but the section on the ergot was accurate, from memory. It looks like an enthusiatic amateur, but one without much in the way of knowledge.